How to record a video of selenium test scripts execution ? As lot of people asking me about the recording feature for selenium web driver scripts. Basically, there is no inbuilt feature in selenium Webdriver for video recording so I did some research and came up with a third party API which provides recording feature and it can be integrated easily with selenium Webdriver. And it would be really great, if we can capture the videos of our scripts execution as it helps in investigating the real cause of failure. It is a basically a JAR file and you have to include it in our project just like you included selenium JAR file. How to use ATUTestRecorder API ? 2) Extract the zip file and save the JAR file into your Jars library. 3) Open Eclipse and include this JAR into your project just like you included selenium JAR file. 4) Next step is to use create a program and use this API into our selenium script. 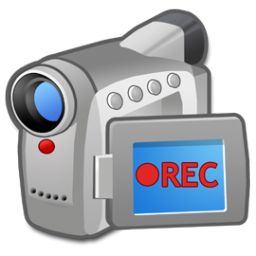 Recording root directory – Provide directory location where videos will be stored. isAudioRecordingEnabled – Pass ‘false‘ here. //create an object of ATUTestRecorder class and pass 3 parameters explained above. When the execution is completed, just go to the directory which you have mentioned during ATUTestRecorder’s object initialization in @before method and you will see a recorded video of your script execution.